Wooden chalet. Very easy access. 2 car garage. View over the valley positioned sac makes it particularly relaxing. 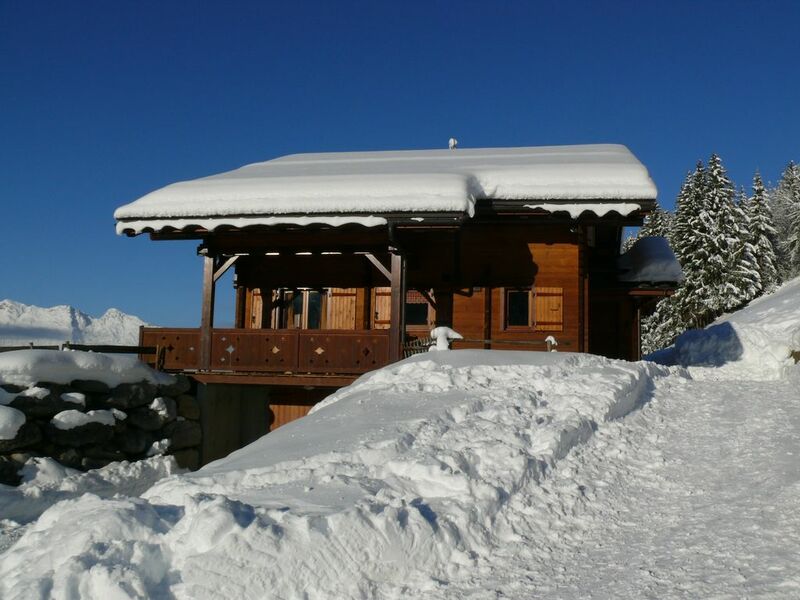 Very easy to get access to the chalet has 2 cars, to jump behind it and the other to access the garage. This residence has a fully equipped kitchen, a laundry room with washing machine available, but also garden furniture, chairs, barbecue. The living room is equipped with free high-speed and unlimited WIFI, TV with TNT, DVD player and a stereo. Located 1200m above sea level and facing south, it gives you indisputable air quality and sunshine throughout the day. No reservation request online possible. Contact the owner obligatorily.